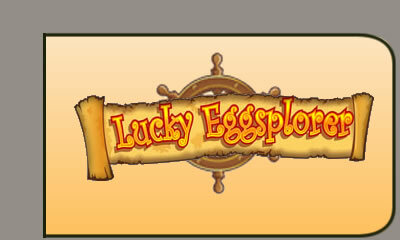 The Lucky Eggsplorer uses Microgaming Software and is a 5 reel, 30 payline slot that uses a cartoon-like theme. Set sail and join Captain Chook on this expedition of a lifetime with these daring chickens while sailing through the high tides of bonuses and free spins. Lucky Eggsplorer allows players to gamble any win. Players need to decide to gamble and choose to either double or quadruple their winnings by picking on a colour or suit of a card drawn randomly. Keep playing until you reach the maximum or until you are satisfied with your payout. which means you have a great chance of winning a large sum of money. Low stake players will be very happy to discover you can play it as a penny slot as well.